It is no more a mere speculation, the unfortunate but irrational statement credited to the former Military Head of State - Retired General Yakubu Gowon, urging the supreme leader of the Biafran people - Mazi Nnamdi Kanu to opt for dialogue with the Nigerian government rather than agitating for secession. I respect people's right of free expression but it becomes hypocritically deceitful for someone who is supposed to exhibit some measures of remorsefulness and reasonability to take to absurdity. There is a popular adage which says that "he who goes to equity must do so with clean hands". It becomes laughable therefore to note that an unrepentant arch-genocidist, most brutal and notorious, living war criminal to be known in the history of black Africa like Yakubu Gowon, could be shamelessly making such a statement. It is now clear that retired General Yakubu Gowon is still being tormented by the spirit of Biafra hence his irrational and unguarded utterances even as a supposed Nigerian elder statesman. 1) Why did you not dialogue with Odimegwu Ojukwu in 1967 before the war of attrition waged against Biafrans? It is well on record how Yakubu Gowon abandoned the Aburi Accord, after signing the agreement of regional autonomy with the late people's General - Chukwuemeka Odimegwu Ojukwu on the basis that the Hausa-Fulani are non industrious, with barren land and as such would be void of any meaningful development. And instead of negotiating for assistance from the then Eastern region, Gowon heartlessly conducted a three (3) year genocidal war against innocent citizens of Biafra, with the despotic tendency of completely wiping out the Biafran people. The evidence of that atrocious mayhem visited upon the people are still in public domain all over the world till date. But to his shame and disappointment, Biafra is still here and increasingly waxing strong. 2) Where really is Nnamdi Kanu? It is rather a height of hypocrisy, deception and insensitivity for Yakubu Gowon to be proffering advise to Nnamdi Kanu - a person whose whereabouts has remained strangely unknown, to get involved in dialogue with the Nigerian government. It is unforgettable, how Muhammadu Buhari, his fellow vampires and even Yakubu Gowon inclusive, connived and despatched Nigerian Military to either kill or kidnap Nnamdi Kanu and in the process, eliminated a cross section of Biafran youths. Ever since September 14, 2017 till date, he has not been seen nor heard. His village home has been left in ruins. If Gowon is sensible as an elder, he should be counseling the Nigerian government and especially the Nigerian Army on matters concerning Nnamdi Kanu before it becomes too late. He should advice them to produce him dead or alive now if he really means well. 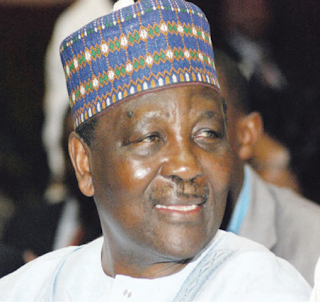 3) Why is Yakubu Gowon not advising Muhammadu Buhari? Yakubu Gowon cannot claim ignorance of when the evolving Biafran revolution commenced. He cannot deny the fact that Muhammadu Buhari tacitly objected to any form of meaningful dialogue, ostensibly displaying his rascality, crude impunity and disdain. But he instead, ordered a sweeping crackdown on peaceful Biafrans. It cannot be denied that President Muhammadu Buhari while responding to a question in Al Jazeera interview asked, "why should he invite the leadership of the Indigenous People of Biafra (IPOB), for a dialogue"? Where was Gowon, the self-appointed adviser then? 4) Has Yakubu Gowon so suddenly become deaf and dumb to undeniable realities? It is very unfortunate that this serial, hypocritical, unrepentant genocidist and appeaser of Biafran enemies, have disgracefully become blind to the glaring realities of continuous heinous crimes committed against the Biafran people as ordered by Buhari and his tyrannical government. Can it be truly said that Yakubu Gowon is not aware about the 2015 gruesome massacre in Onitsha? Is Yakubu Gowon also claiming ignorance of the Aba massacre of 9th February, 2016? Is Yakubu Gowon unaware too of Nkpor killings of Biafrans on the 30th of May, 2016? Can Yakubu Gowon before God claim not to be on the know really about the Igweocha (Port Harcourt) massacre of 20th January, 2017? Is he not aware of the innumerable number of innocent Biafrans illegitimately arrested and are yet being incarcerated in different secret cells and prisons across Nigeria? Can Yakubu Gowon sincerely claim not to know the full import of what Operation Python Dance II meant to accomplish in Biafraland? Has he forgotten that all those gruesomely mowed down by the Nigerian security operatives and unjustly detained, sacrificed themselves for the unfettered freedom of Biafra? It is without doubt that if this man is truly humane and repentant, he would toe the path of honor and personal respect by advising those presently in power as an elder statesman, to sincerely and without further delay, pay attention to the yearnings of Biafrans by giving a date for a referendum. Conclusively, Yakubu Gowon should remember in case he has forgotten that before his arrival on the scene, Biafra was and after his departure, Biafra will yet be. Therefore, let him and his likes be reminded that the ongoing struggle for the full and total restoration of the sovereignty of the Biafran nation can never be truncated nor compromised. Biafra essentially is insurmountable, unassailable, unquenchable, unconquerable and unstoppable. BIAFRA REFERENDUMM is all Biafrans ask for and Nigeria will remain in an irredeemably sorry state until this demand is met. There is absolutely no other alternative to this reality !